This year, Research Day will be held on Wednesday, May 15th, at the Chestnut Residence & Conference Centre located at 89 Chestnut Street in downtown Toronto. Trainees (i.e., graduate students, postdoctoral fellows & clinical fellows) currently under the supervision of a Krembil-appointed Principal Investigator and who spend at least 50% of their time in research are invited to submit an abstract for a poster or an oral presentation. Staff (technicians, research associates & scientific associates) are also eligible to submit a poster abstract, if the allotment of poster boards are available. Priority for poster boards will be given to trainees. We are also offering an additional category for oral presentations for trainees: 3-minute elevator pitches! Elevator pitches are clear, concise, carefully planned and well-practiced presentations on a trainee's research and must be delivered in three minutes or less. Trainees wishing to give an oral presentation can choose between the traditional 10-minute presentation or the three-minute elevator pitch, however they cannot do both. Trainees giving an elevator pitch may also give a poster presentation. Principal Investigators, undergraduate students and summer students are not eligible to submit an abstract. Please mark your calendars for May 15, 2019 and we look forward to seeing you there! Registration Closes: Tuesday, April 30, 2019 at 4:00 pm. Online registration is mandatory for all presenters and general attendees. Registration for the 2019 Krembil Research Day is now open. You must register in advance if you wish to attend as we need to plan for seating, catering, printing of programs, etc. The deadline to register is Tuesday April 30, 2019 at 4:00 pm. Abstract submissions are due by Friday, February 22, 2019 at 4:00 pm. No late submissions will be accepted. Trainees (i.e., graduate students, postdoctoral fellows & clinical fellows) currently under the supervision of a Krembil-appointed Principal Investigator and who spend at least 50% of their time in research are invited to submit an abstract for a 10-minute presentation, 3-minute elevator pitch or poster presentation. Staff (technicians, research associates & scientific associates) are welcome to submit a poster abstract, if the allotment of poster boards is available. Priority for poster boards will be given to trainees. If you wish to submit a first-authored abstract, please note that abstract submission and registration are part of the same process. Please register only if your abstract is ready for submission. Note: if the same abstract is submitted more than once, the last submission will be considered the final submission which will be used for the booklet and judging. Please note that only trainees (graduate students, post-doctoral fellows, and clinical fellows) submitting first-author abstracts will be considered for an oral presentation and judged for their oral/poster presentation. Prizes will be awarded for the top posters and oral presentations from the Institute. One prize will be awarded for the first place elevator pitch. A 3-minute elevator pitch is a clear, concise message or ‘commercial’ about your research. It communicates briefly in 3-minutes what your research is about, what you are looking for and how your research benefits society. The pitch should not be longer than 3 minutes and the idea of an elevator pitch is that you are prepared to share your research with anyone, at any time such as during an elevator ride. Your elevator pitch should be a carefully planned and well-practiced talk about your research that the general public will easily understand. Trainees who would like to give a 3-minute elevator pitch, cannot use any slides for their pitch. A single image (e.g. stained cells) behind for visual focus is permitted, but no text, data, etc. is allowed on the image. The 3-minute elevator pitch is great practice for entering the Three-Minute Thesis competition as well as your future interactions with media and potential donors. Abstract: Your abstract must not exceed a maximum of 2000 characters including spaces (approximately 300 words). Please do not use special symbols, Greek characters, super-or sub-scripts as they will not be preserved in the online submission process. Only one first-authored abstract per registrant may be submitted. You must be the first and presenting author in order to be judged in the oral or poster competition. Abstract Format: Abstracts MUST be in a standardized format with the following subheadings: Hypothesis, Materials and Methods, Results, and Conclusion. Abstract Authors: Please type in all names using the first and middle initials followed by the author's last name. A comma should separate author names and the final name should be followed by a period. For example: SR Wilson, MK O'Reilly, JP Leduc, and BA Bell. Affiliations: Please type in all affiliations including your Krembil affiliation. A semi-colon should separate each affiliation and the final affiliation should be followed by a period. For example: Division of Genetics and Development, Krembil Research Institute; Department of Physiology, University of Toronto. Prizes will be awarded for the top 10-minute oral and poster presentations based on evaluation by a panel of judges. A prize for the top three-minute elevator pitch will be awarded based on voting by all attendees. 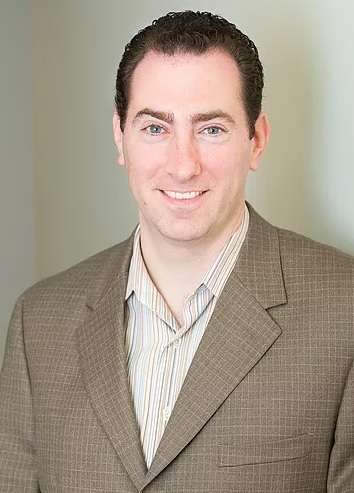 Amit Etkin, MD, PhD is an Associate Professor in the Department of Psychiatry and Behavioral Sciences at Stanford, a member of the Stanford Neurosciences Institute, and an Investigator at the Palo Alto VA. He has received multiple awards, most notably the NIH Director’s Pioneer Award in 2017, and is an editor at Neuropsychopharmacology. Dr. Etkin is trained as both as a neuroscientist and psychiatrist. The overarching aim of the Etkin lab is to understand the neural basis of emotional disorders and their treatment, and to leverage this knowledge to better understand how the brain works and to develop novel treatment interventions. In support of this goal, Dr. Etkin also collaborates with neuroscientists, engineers, psychologists, physicians and others to establish a new intellectual, scientific and clinical paradigm for understanding and manipulating human brain circuits in healthy individuals and for treating psychiatric disease. The 2018 Krembil Research Day will be held at the Chestnut Residence & Conference Centre, located at 89 Chestnut St - a 7 minute walk from PMH/TGH/MaRS. Oral and poster presentations will take place in the Colony Ballroom on the 2nd floor.